At Kaucher Kustoms, Keith and Mitch Kaucher have a deep seated passion for classic American customs and hot rods. 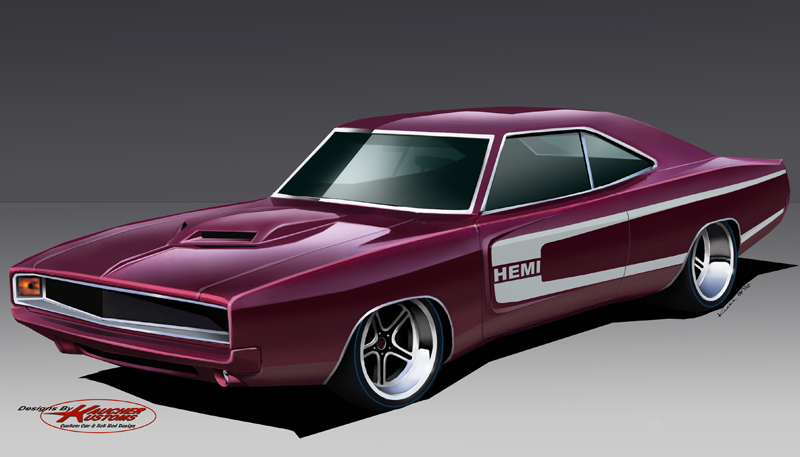 Our goal is to provide our clients with the most comprehensive and innovative design services to aide them in bringing the custom car or hot rod of their dreams to reality by providing them with visual blueprints in a variety of formats. 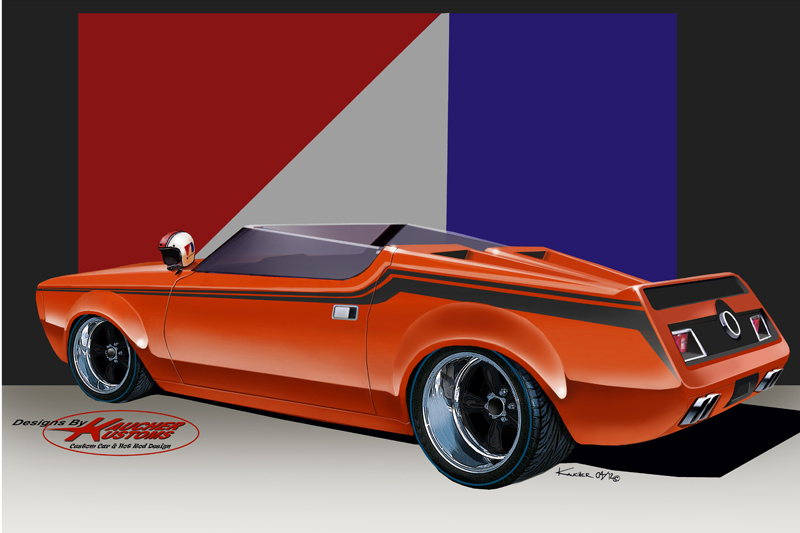 We have the ability to take our client’s dream car concepts and not only hand render a design on paper but we can also provide the design in a computer generated 3D model as well as provide a 3D scale model of the design. At Kaucher Kustoms, we pride ourselves on providing our clients with more than just pretty pictures. Keith Kaucher is the creative design force that drives Kaucher Kustoms. 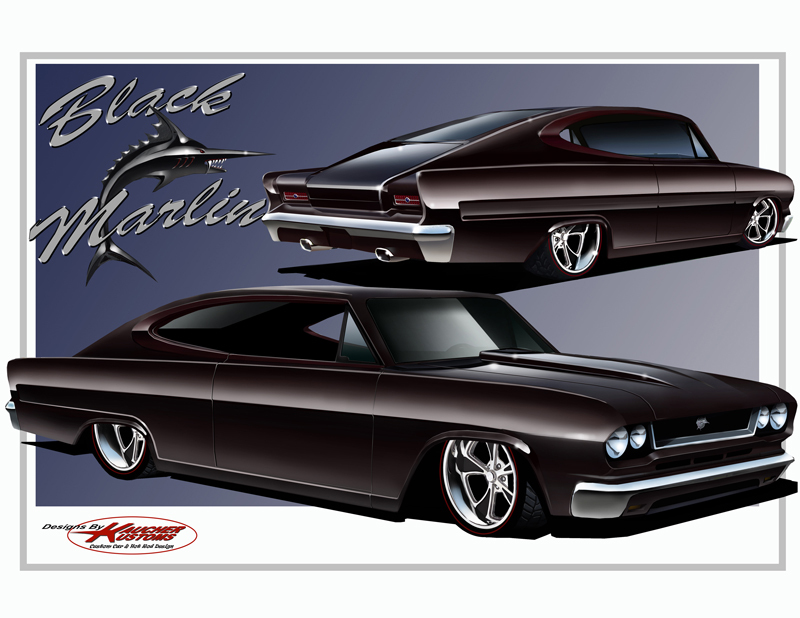 Keith’s passion for customs and hot rods combined with his keen sense of style and his degree in industrial design allows us to provide our clients with detailed hand rendered designs that are proportionate and to scale. This is a key factor in assisting a custom car or hot rod fabricator in building the car of your dreams. After all, it’s a lot easier to get somewhere when you know where you want to go! Not only will our visual guide assist your custom car or hot rod builder by providing them with a visual roadmap of your dream car project, it will make them more efficient by eliminating guesswork. This not only saves our clients time but it also saves them money because it is cheaper to create or change a design on paper than it is to create or change a design in metal. Additionally, to insure that our designs are properly translated from a visual format to into the custom car or hot rod of your dreams, we offer consulting services to act as a liaison between our client and the custom car or hot rod builder. We are also able to provide our clients with detailed cut line drawings, scaled elevations and mock ups to further assist the custom car or hot rod fabricator. 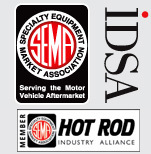 These services have proven to save our clients time and money by eliminating guesswork on the part of the custom car or hot rod fabricator. The net effect will be reduced fabrication costs to our clients and a design that will be accurately transformed from a paper dream into a reality for our clients. Keith’s expertise also has proved to be extremely valuable in performing service as an expert witness for automotive design related law cases. Kaucher Kustoms has also established an outstanding reputation in the aftermarket wheel industry by providing fresh and unique wheel designs for trucks, SUVs and luxury passenger cars. Since 1999, Kaucher Kustoms has provided wheels designs to numerous top name wheel manufacturers including American Racing, Enkei, Lexani, MHT, Milani, Ultra Wheels and Vision Wheel. Examples of our wheel designs can be viewed in our wheel design section. Kaucher Kustoms also provides conceptual designs for other aftermarket automotive related parts and accessories, such as air cleaners, body kits, exhaust tips, steering wheels, shifters and shift knobs. Once again, with Keith’s background in industrial design, we can provide designs for aftermarket products that are not only aesthetically pleasing but also functional and feasible to produce. 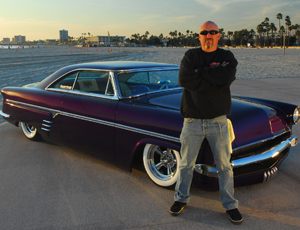 As a testament to our design abilities, Keith custom designed his 1954 Ford Victoria (known as “Fifty4”) which was featured as a “Dream Car of the Month” in the December 2004 issue of Rod & Custom Magazine. 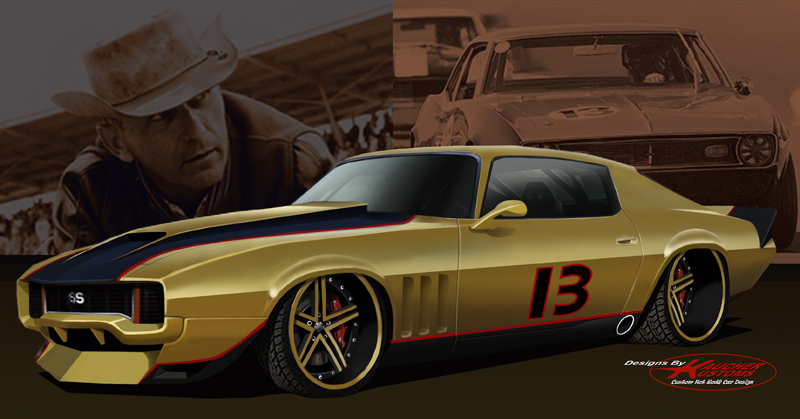 The car was then taken to Starlite Rod & Kustom in Torrance, California, where Jack Fields and his partner Edgar Hernandez along with their skilled crew, transformed Keith’s design from a mere paper dream to an award winning custom car reality. The “Fifty4” has amassed 17 trophies and awards since it debuted at the Grand National Roadster Show in January 2006. Some of the awards the “Fifty4” has earned are a 1st Place in its class at the Grand National Roadster Show in 2006, a George Barris Best of Show award at George’s show in May 2006, a Best of Show award and a George Barris Best Kustom award at the Blessing of the Cars in July 2006 as well as a Rod & Custom Top 10 award and a Eagle One Excellent Choice award at the Goodguys West Coast Nationals in August 2006. To top it off, Rod & Custom Magazine ran a six page follow up feature article on the “Fifty4” in the October 2006 issue. 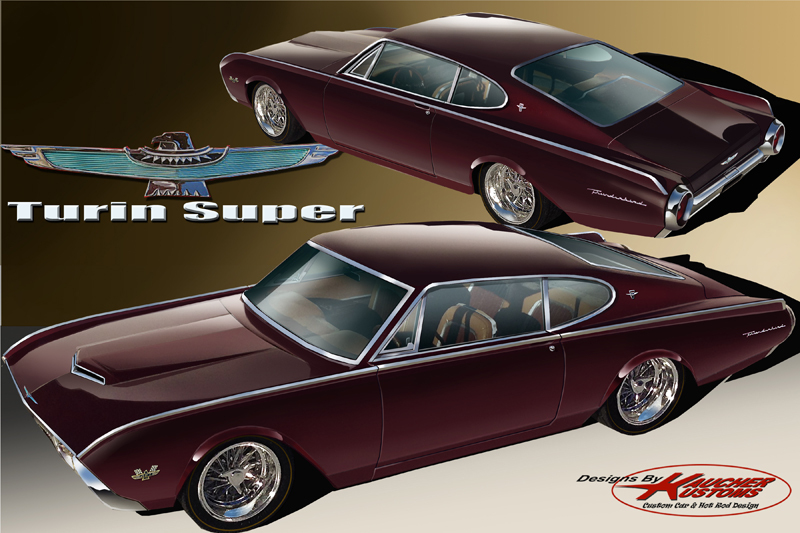 At Kaucher Kustoms we firmly believe in providing our design services with the utmost professionalism and reliability. We also believe that our clients are our future and therefore customer service is just as important as the designs we provide. To find out how Kaucher Kustoms can help you create the custom car or hot rod of your dreams, please call us to schedule a consultation. We look forward to being of service to you!